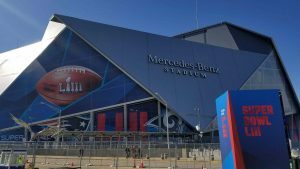 For the production team at CBS Sports, Super Bowl LIII is the culmination of years of work, site visits and planning. As usual, it’s a massive effort and provides plenty of innovation. “I think we make a great team,” she said. Francis says that having access to dark fibre to the sets has given the team control with respect to sharing resources wherever they are needed. There are also 29 transmission and receive paths, five uplinks, and 10 Gbps of data circuits for file transfers as CBS leverages the team back home.